Imagine you own a little black dress that has a wonderful design but also has a very deep cleavage cut (from Jasmine Di Milo) - with a bit of fantasy, I have turned it into a Little Black Neon Dress !. Imagine you fall in love with another pair of Jeffrey Campbell shoes - this time, neon color - and that, on the same day, you enter in a shop and end up getting yourself a neon pink tote. Here's how this outfit has been styled !. The cute little black dress cleavage cute has been covered up with a neon pink basic t-shirt underneath, from Only, plus I added a statement necklace. Immaginate di avere un "little black dress" con un meraviglioso design ma anche uno scollo profondo sul davanti (è di Jasmine Di Milo) - con un po' di fantasia eccolo trasformato in Little Black neon dress !. Immaginate, infatti, di esservi innamorate dell'ennesimo paio di improbabili scarpe di Jeffrey Campbell, questa volta dai colori fluo, e di esservi comprate, di impulso e nella stessa giornata, una shopping rosa fluorescente. Ecco come è nato questo outfit !. La scollatura dell'abitino nero è stata coperta indossando una maglietta basic di Only sotto, e ho aggiunto il dettaglio della collana. Click on each pic to enlarge it ! Yes, I have been struck with the neon trend :) and in the next posts I will show you another neon look, more casual than this one. Fashion is like a time machine: this time it's taking us back in the 80s and part of me likes it because it's fun ! This outfit colors reminds me of Pac Man, I used to love playing that videogame (probably you didn't know I have always been a videogame addict !). Do you have anything neon in your closet or in your wishlist?. 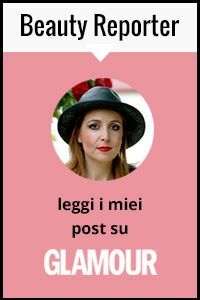 Lo ammetto, sono stata colpita anche io dal trend neon :) e nei prossimi post vi mostrerò un altro look del genere, più casual di questo. La moda è come una macchina del tempo: stavolta ci sta riportando agli anni '80 e una parte di me ne è contenta perché ci si diverte ! I colori di questo outfit mi ricordano quelli di Pac Man, adoravo giocare a quel videogioco (forse non lo sapete, ma sono sempre stata una amante dei videogames !). Voi avete qualcosa di fluorescente nel vostro armadio o nella vostra wishlist ?. I love my Jeffrey Campbell Foxy neon pink-yellow shoes ! Sure they aren't a simple pair of shoes, but I own so many "normal" pumps already and these are a fun alternative. Moreover, my husband loves weird looking shoes and he encouraged me to get them...not that I needed it cause when I wanna buy something I am an impulsive buyer, but it made me even happier !. I will wear the little black dress also with no t-shirt underneath and with stiletto black pumps for a more classical and elegant outfit, that's sure ;). Amo le mie scarpe modello Foxy neon rosa-gialle di Jeffrey Campbell ! Sicuramente non un paio di scarpe semplici, ma ho già tante pumps "normali" e queste sono un'alternativa divertente. In più, ho avuto anche l'appoggio di mio marito, che adora le scarpe "strane"...non che ne avessi bisogno, quando si tratta di comprare sono una compratrice impulsiva, ma mi ha resa ancora più felice !. Indosserò questo abitino nero anche senza t-shirt sotto e con scarpe nere dal tacco a spillo per un outfit più classicamente elegante, di sicuro ;-). Last few days yet to enter, click on the image below to go to the post about the Giveaway to read the rules and to enter, you can win $ 90 gift card on Oasap ! So perfect this look! I love it :) And the JC... OMG!!! Che meraviglia, adoro questo look! L'uso del neon è adattissimo visto le nuove tendenze! Thanks for the comment on my blog, be glad to follow each other! Following u now! Love this outfit, always loved black and hot pink together! Vestito stupendo, davvero. Poi ti sta davvero benissimo. E la maglietta fluo dà quel tocco in più. Che fortuna avere un marito che ti appoggia anche negli acquisti più strani! I love your dress, shoes and bag! this look is PERFECTION! i love that you are embracing the neon trend. I think that it's hard to find somebody who's not into neon trend nowadays :) I'm in love with your necklace and shoes! Amazing look! I love the combo of black and neon! Simply wonderful. LOVE the black & the pop of pink! wow! you look amazing! love this dress! the dress is amazing and the accessories are simply wonderful!!! It's a really nice dress, neon detail is great. Great look and perfect dress! That is a great yet easy solution and the effect is very natural. Beyond that, I love how the tee-shirt, shoes, bag and necklace all coordinate. You look fantastic! I love Neon touch. You look beautiful. Kisses. Very great outfit - love your bag...! Beautiful dress and such gorgeous shoes! Che spettacolo questo vestito e come hai abbinato bene gli accessori, le JC sono splendide! Stai benissimo cara..! Un bacio! Oh you look so beautiful! And those JC sandals are amazing!! Ma che bellaaaa!!! Mi piaci tantissimo!! Accessori neon fuxia MERAVIGLIOSI!!!! You look fantastic. I am coveting your bag! In love with your campbell shoes ! Mind following each other ? And yes in Blog loving and facebook too' since I'm new there ! I will do the same , Loves . Un look da 10 & Lode! Sooo CHIC !! LOVE the neon!! Thank you for your wonderful comment! Fantastic necklace and shoes! This piquant pink insert on the dress! Brava! Such a pretty outfit, love the pop of pink! Loving the bright pink pops!! :) Lovely blog dear, I adore the cute template! questo outfit è stupendo!!! !adoro il contrasto! !meravigliose anche le scarpe!!!!kiss!! Great use of neon! Love everything especially the bag!! Bellisimo questo outfit!!! Looooooooove it! Follow you on Bloglovin! you look so fresh and pretty!!! ^_^ this look reminds me of Elle Wood from Legally Blond, but yours are better, so everything's not too pink.. hihi.. ^_^ and love your cute blog. Thank you for your comment on my blog and I'm following now..
Love your shoes doll, you look gorgeous! wow, incredible your look honey, i love this necklaceeeee!! where is it from?? I love the way the black dress looks with the neon highlights! You look gorgeous! Thanks for the sweet comment on my blog. I would love for us to follow each other. I'm already following you! Hello!!! thanks for your coment on my blog!! Your pics and outfits are so great!! love your blog!!! Hey I didn't get the PROMDRESSESALE mail.. could you please check with them? Love it! What a fabulous idea! beautiful fotoes!stunning outfit, looks great on you! The dress is so chic. I love your bag!! Love neon pink! We can definitely follow each other! thanks for visiting, hun. i love this look on you... especially your JC's. yay for JC girls. we rock. hahaha. You look like Rachelle Zoe, lovin your style! So fab and chic. Pink is beautiful! pink color is so bright that is crazy! just crazy! the perfect choice! I love this outfit! You've matched everything so cleverly! I would've never thought of wearing a Tee underneath but it looks perfect and all your accessories go wonderfully with it! You look gorgeous, I love the dress, I love all the look! Thank you so much for the comment on my blog! I love yours so I'm following since NOW! very nice dress and look! I like that dress! loves. Long time no see (my fault!). I absolutely love the dress you're wearing, so classy yet extravagant all wrapped in one ! The outfit is perfect. Non so come ho fatto a non vedere prima questo outfit...è stupendo...io poi adoro il fucsia!!! abbianto col nero è bellissimo! very beautiful outfit and colors!! !